Send your home straight to the future. 1. A Lilumia electronic makeup brush cleaner that looks like it could start levitating while resuscitating your dirty brushes. Get it from Amazon for $149 (available in four colors). 2. A Turbo Dog treat-tossing camera to keep an eye on and reward your pup — because sometimes it’s tough leaving your bestie all alone. The camera can hold as many as 30 treats. It also features a night vision camera, two-way audio, and will alert you with a phone notification if it senses your dog barking. Get it from Amazon for $230. 3. A battery-powered GeniCan that'll create a shopping list out of the items you toss in the trash — making sure you always know when you’re out of necessities like trashbags or dish detergent. 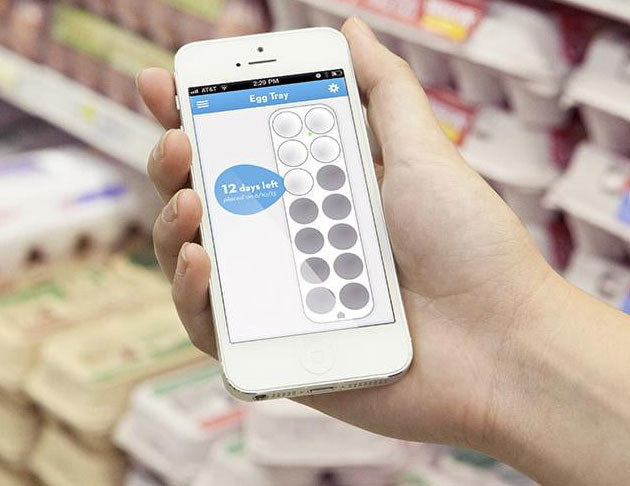 To create your shopping list — which you can access on the GeniCan app — swipe the item's barcode with the barcode reader. If your item doesn’t have a barcode, you can hold you item in front of the GeniCan. And after two seconds, it will ask what you want to add to your list, and you can tell it what to put on it. 4. 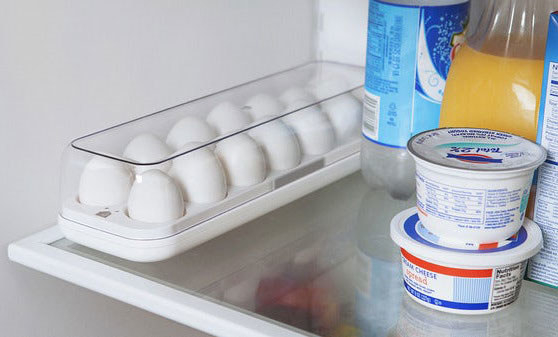 A smartphone-linked Quirky Egg Minder to monitor the freshness of your eggs and update you on how many you have in your fridge. Get it from Amazon for $11.99, and read more details about the system on SmartHome. 5. A portable Invoxia Triby smart speaker you can link with your Amazon Alexa voice service to set alarms, control devices in your home, and play your favorite tunes. 6. An Instant Pot multi-use cooker that combines seven kitchen appliances into one boss pot. The Instant Pot can be used as a pressure cooker, slow cooker, rice cooker, steamer, sauté, yogurt maker, and warmer. Read a detailed review of the Instant Pot here. Get it from Amazon for $97.94+ (available in three sizes). 7. A Gourmia sous vide circulates water to evenly cook bagged meat, fish, poultry, and other foods. And it has Wi-Fi connectivity, so you can control it from your smartphone. Get it from Amazon for $119.99 (available in two colors). 8. A sleek GoWISE USA electric air fryer so you can enjoy the magic of a crispy batch of fries without the calories oil adds. Get it from Amazon for $99.95+ (available in two sizes and four colors). 9. A Bissell BarkBath to give your favorite pup a scrub no matter where the day may take you two. 10. A WeMo-enabled Crock Pot you can pair with your phone to easily monitor your meals and adjust the heating settings of the pot. Get it from Amazon for $129 or Crock-Pot for $103.99. 11. A Petnet SmartFeeder to personalize food portions and set up a food schedule for your dog or cat. 12. 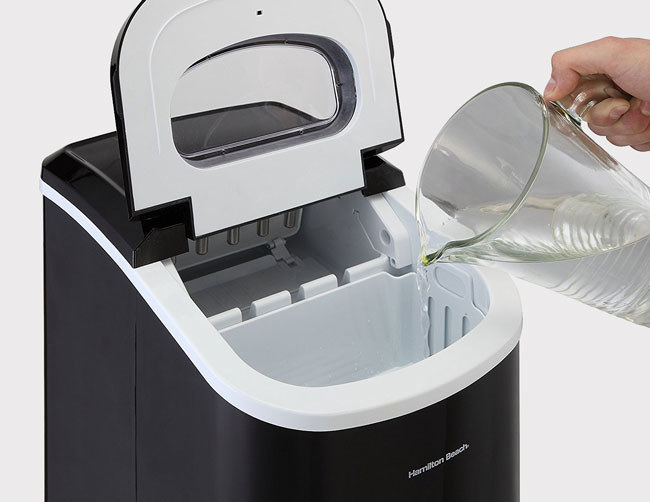 A portable ice maker that quickly makes batches of cubes so you can chill your beverages basically anywhere you’d like — no refrigerator required. 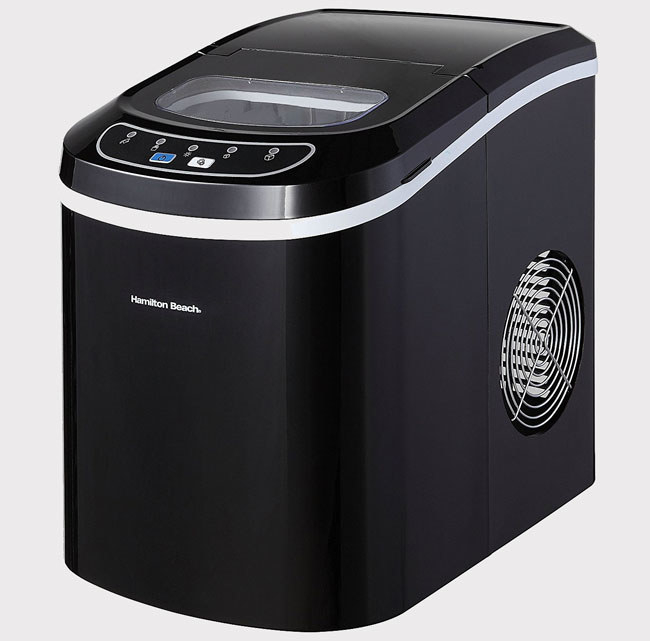 Get it from Amazon for $82.99+ or Bed Bath & Beyond for $124.99. 13. An iDevices iGrill2 digital thermometer for monitoring as many as four temperature probes from your phone — a grilling fiend's dream. The thermometer includes four probes and magnetic mounting. Get it from Amazon for $134.99. 14. A powerful 40-watt FLIway Charge pad kit for charging as many as eight devices at one time — and it can even sense if liquid or metal is detected on the pad’s surface. The FLIway system can be used with a FLIcase or wired FLIcube or FLIcoin adapter — all of which come with the starter kit. The pad has the ability to charge a range of tech items, including headphones, mini drones, gaming controllers, cameras, and tablets. Promising Review: “FLIway 40 is a superb device for charging phones, tablets, watches, and iPods. It works great!” —William M.
Get the four-piece starter kit from FLI Charge for $149 or a two-piece iPhone 6 kit from Amazon for $138. 15. A Perfect Bake Pro app-controlled scale to make you a baking legend — at least in your own kitchen. The gadget auto scales recipes for servings and pan sizes. The app also includes a virtual bowl on screen that fills up as you add ingredients, alerting when you need to stop pouring. Get it from Amazon for $71.98 or Bloomingdale's for $50. 16. A self-charging Eufy RoboVac that will vigilantly keep your home clean with the simple click of a button. The vacuum includes an anti-scratch tempered glass cover, an infrared sensor to avoid bumping into obstacles, and drop-sensing tech so it can avoid falls. 17. A Perfect Drink PRO to make your bartender dreams reality with the help of a handy app — and a scale that automatically weighs ingredients as you pour. The app allows you to choose a drink recipe and serving size. You then place a glass — or the included shaker — on the scale to begin your drink making experience. The scale even lets you know when you need to stop pouring each ingredient. Get it from Amazon for $76.55. 18. A Mr. Coffee Wi-Fi enabled coffeemaker so you can start brewing a pot of Joe straight from your bed. 19. Or really show off with a Bonaverde coffeemaker to roast, grind, and brew your own coffee — basically making your kitchen counter a real-life coffee shop. As part of the Bonaverde community, you will receive ready-to-use coffee beans straight from partner coffee bean farmers. The beans are harvested, packed, and shipped by the farmers, allowing them to have full control over their bean business and brand in the Bonaverde marketplace. If you are really serious about your coffee life, you can currently reserve one of the $800 machines on Bonaverde for $20. The first batch of machines is scheduled to ship in mid-2017. The June Intelligent Oven features an HD camera, touch screen, and a June app that sends you customized alerts about what you’re cooking and will let you control the oven from any location. Get it from Amazon — prepare yourself — for $1495. You're going to have the coolest home ever. 21. Shopping for something specific? Check out BuzzFeed Reviews to find the best things for every budget!